Homework is way more fun than when I didn’t do homework back in the day. Apparently they’re teaching kids to Yelp now. 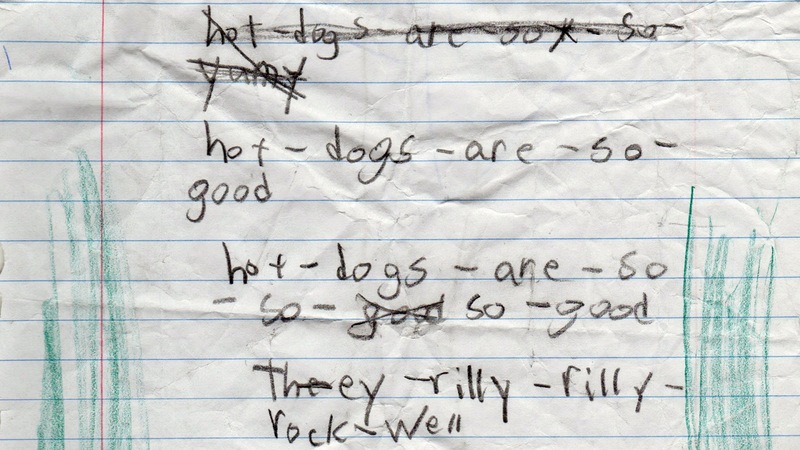 And I must agree with this kid… Hot Dogs rilly rilly rock-well!